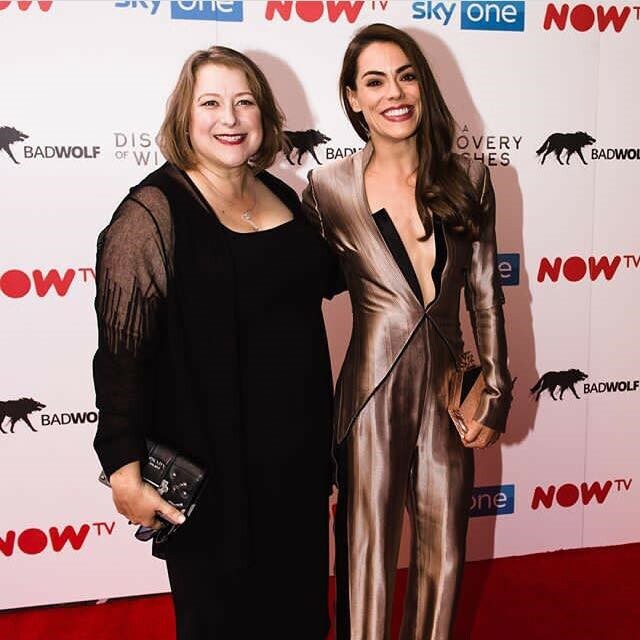 On Wednesday night Cineworld hosted the world premiere of A Discovery of Witches. 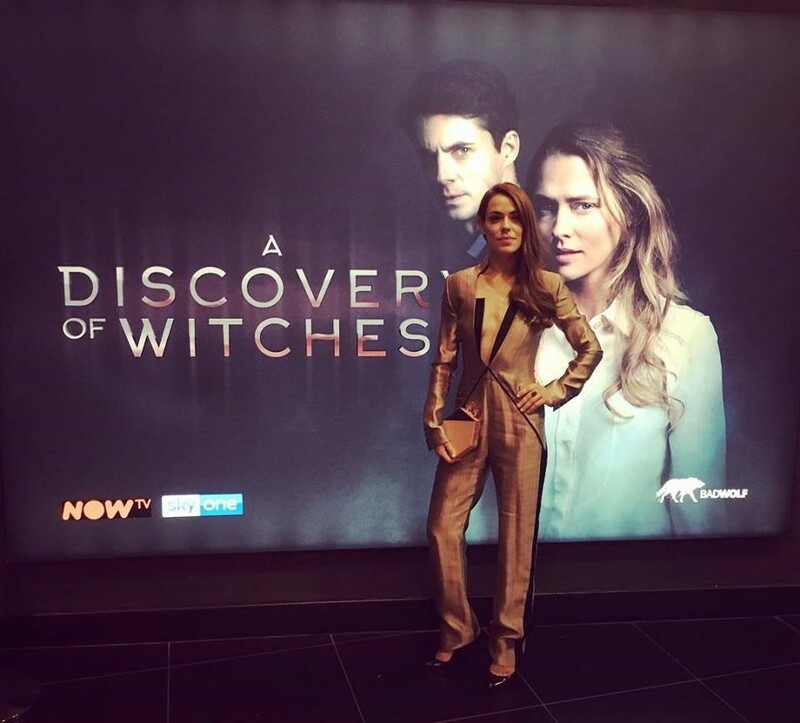 The invitation to the premiere for Sky One’s A Discovery of Witches foretold of a red carpet, drinks, canapés and photo ops. So of course, yours truly jumped at the chance. Enter an awkward budding journalist (aka me), a room full of smartly-dressed fans and cast members, a camera crew, and a table full of fancy ‘nibbles’ (which I acquired as discreetly and humbly as possible…but ate in one go). ‘Excuse me darling?’ was the response I received, and in an elegant French accent no less. This is how I met one of the cast members for the show, Chloé Dumas (her role remains a secret to press and public at this time). Dazzled by the stunning figure in front of me, and embarrassed by my own journalist faux pas, I was relieved to discover that the conversation quickly flowed into an enjoyable chat with an ambitious and enthusiastic woman. I must admit that our conversation mildly coloured my perception of the show itself. It was impossible not to be swayed by the positivity and big-kid grin beaming from the young actress in front of me. Dumas told me that being cast in the show was, in part, due to excellent timing, having just moved to the UK. Working with three inspirational women such as leading actress Teresa Palmer, author Deborah Harkness, and director Alice Troughton was an “amazing experience.” She loved the books and was extremely pleased with the outcome of everyone’s hard work. Our discussion continued, and rather enjoyably, but it’s probably about time to discuss the viewing itself before I ramble myself into an abyss of socialite-style anecdotes. I’ll keep it simple. A discovery of Witches, episode one, was quiet and surprisingly reserved. The plot contains mysteries that threaten to break through the surface of the narrative, like a ball of wool teetering on the edge of the coffee table and threatening to unravel onto the floor. It had elements of suspense and tension that were evident but not exaggerated. A long-lost book is discovered by Diana Bishop, a powerful witch who refrains from magic, and this discovery throws the supernatural world into a bit of a panic. Mathew Clairmont, a mysterious vampire fellow, is determined to discover what Diana knows about it, and probably fall in love in the process. If I’m honest, my expectations for a vampire-witch romance show were low. We’ve all been there, read the books, seen the movies and bought the shirts. They’ve been hanging in the wardrobe for 5 or so years and have been slowly destroyed by moths. However, I may have underestimated this one. ‘To err is human’ after all. I will not be achieving witch/vampire status any time soon! The visuals were stunning and skilfully executed, and the casting excellent- nobody was out of place or uncomfortable to watch. Teresa Palmer, who plays Diana Bishop, commented that she “wanted to live and breathe” her character, and you can see this desire in every other cast member as well. Mathew Goode, playing the role of Mathew Clairmont, said he had heard about the project and knew that he would “love to wade into that world.” Bringing this story to life appeared to be a team effort, and a shared passion. I didn’t meet a single person- actor, producer, fan, manager- who didn’t seem immensely grateful and happy to be there that evening. I will be tuning in to see what happens next on the show. I will also be following the promising careers of those involved. They are a group of hardworking, fun-loving professionals, and it was a pleasure to see them together, on and off screen.